To help make sure you stay informed, each Sunday we'll revisit five stories from the previous week and capsulize them in this digest with the most recent updates. Those few minutes of chit-chat with a customer at her front door didn't seem normal to delivery driver Marco Perea in Escondido this week. He went with his instincts and knew something just wasn't right. Now, he's being called a hero for saving the woman's life. NBC 7's Rory Devine has a story that will make you want to hug a delivery driver today. An employee for Palomar Mountain Premium Spring Water checked in on one of his customers, an Escondido woman, only to find her lying immobile on the floor. NBC 7’s Joe Little and Mark Leimbach were there when the two reunited. A North County postal carrier, honored Monday for pulling two people from a burning car after a collision, said an image of his mother popped into his mind and urged him to get involved. "Even though she's gone, when she says something, I react," Eric Reyes said. The postal carrier received a letter from the Postmaster General to recognize his actions. NBC 7's Liberty Zabala shows us what the woman he helped has to say about the honor. 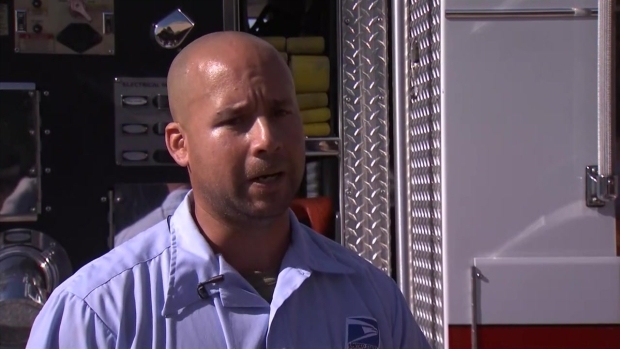 Postal carrier Eric Reyes recalled pulling two people from a burning car after a collision, citing his late mother as inspiration to help. When have you heard of librarians WELCOMING rule breakers into their buildings? It's happening in the city of San Diego where library officials have forgiven more than 100,000 people banned from using the library services due to late book fees. The City of San Diego forgave late fees for nearly 130,000 locals, just in time for National Library Week. NBC 7’s Catherine Garcia has more. “It’s everything," said a mother of three, "We’ve been waiting months for this." 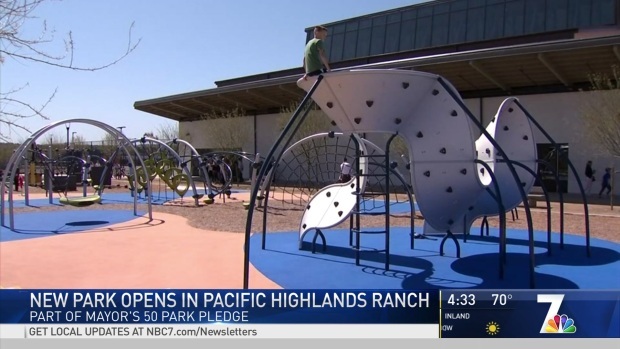 City of San Diego leaders decided to build it and they will come, opening the city's first-ever free public parkour area as they uneviled a new park in Pacific Highlands Ranch. Check it out in this video. San Diego opened a new park in Pacific Highlands Ranch with the city’s first-ever free, public parkour area. NBC 7’s Catherine Garcia has more. Someone stole valuable power tools from a woodshop class at Classical Academy High School. As NBC 7's Audra Stafford reports, the outpouring of support from the community was "amazing" and helped students complete their biggest project of the semester - delivering signs to a center for adults living with intellectual disabilities. Trust us, this is one story you're going to want to watch this weekend. 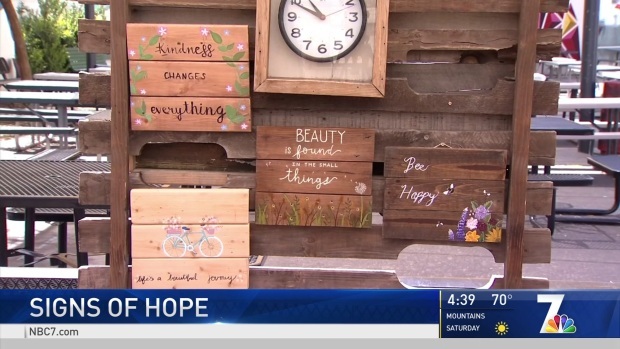 A woodshop class at Classical Academy High School delivered their signs of hope for the people at Mountain Shadows Community Homes in Escondido. NBC 7’s Audra Stafford has more.